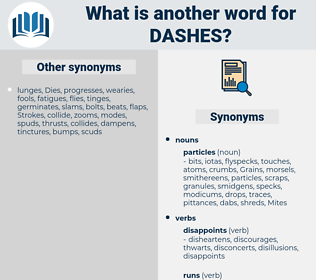 What is another word for dashes? 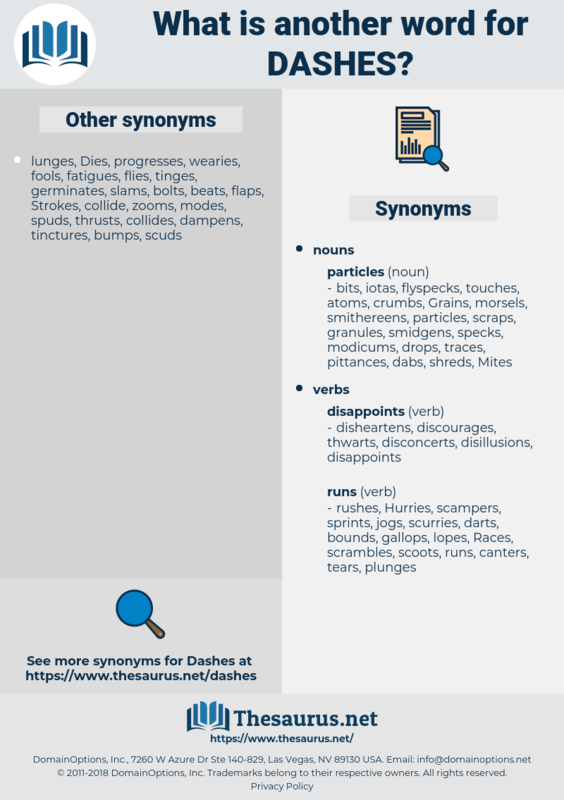 characteristics, threads, headings, Hotlines, gridlines, hallmarks, thrusts, strands, landmarks, bars, graduations, contours, Strokes, features, Hauls, indent, indents, outlines, traits, scripts, bullets, points, tows, LANES, Entries, items, LINEs. It is like the wolf - spider which dashes out in a mad fury. Female - Dull yellow - brown, with light and dark dashes on back.